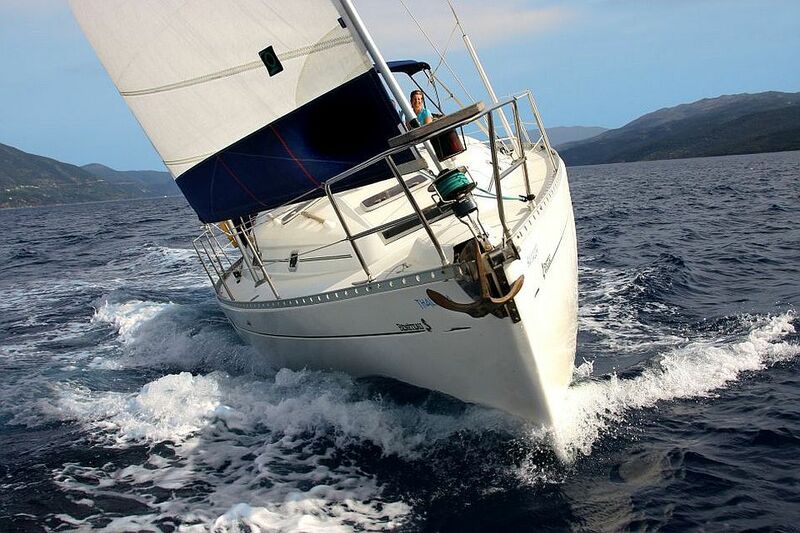 We currently own and operate two yachts and strive to achieve the highest standards of maintenance and service to ensure you have a relaxing and trouble free sailing holiday. As we own our boats (unlike most charter companies who manage boats for private owners), it is in our interest that they are in the best possible order and condition. With just two boats to run rather than a large fleet, the maintenance, preparation and cleaning is carried out by ourselves - resulting in an unmatched personal service. Our yachts may not be the newest available to charter, but we sincerely believe that our maintenance programme is second to none and regular updates of equipment, coupled with our attention to detail, mean that you get a great yacht at the best value for money price. The boats have a warm and solid feel to them as they were manufactured when real wood was used in the interiors, unlike the plastic and cheap wood veneers you will find in most of the boats in our competitors' fleets. 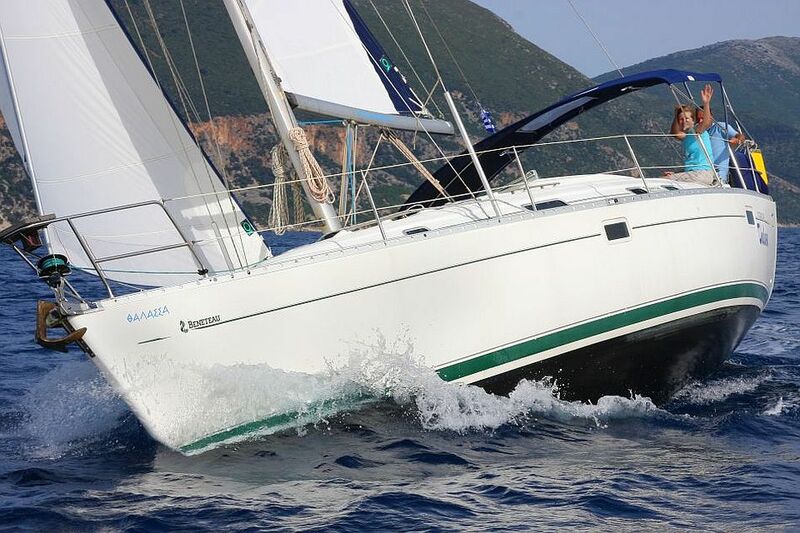 BENETEAU OCEANIS 381 - "THALASSA"
A great combination of very generous accommodation with easy handling under power and a good sailing performance. This yacht has three double cabins and two heads/shower compartments. There is a quality feel to this boat with the lovely varnished finish complemented by the bright upholstery. 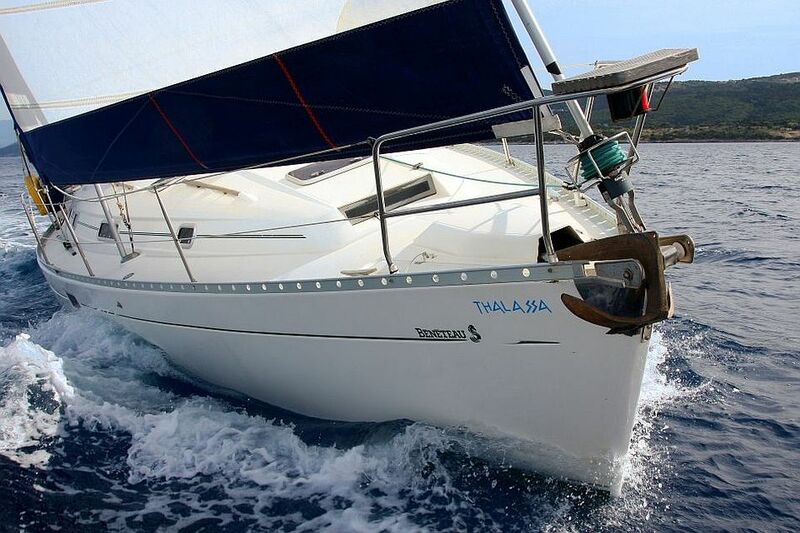 Thalassa is proving to be very popular for families and larger groups. 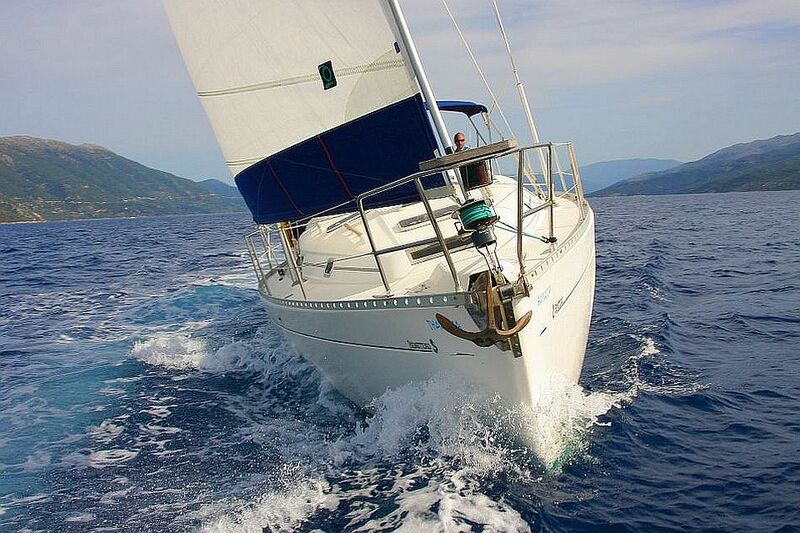 She benefits from continuous upgrades and many improvements, including recent quality sails. 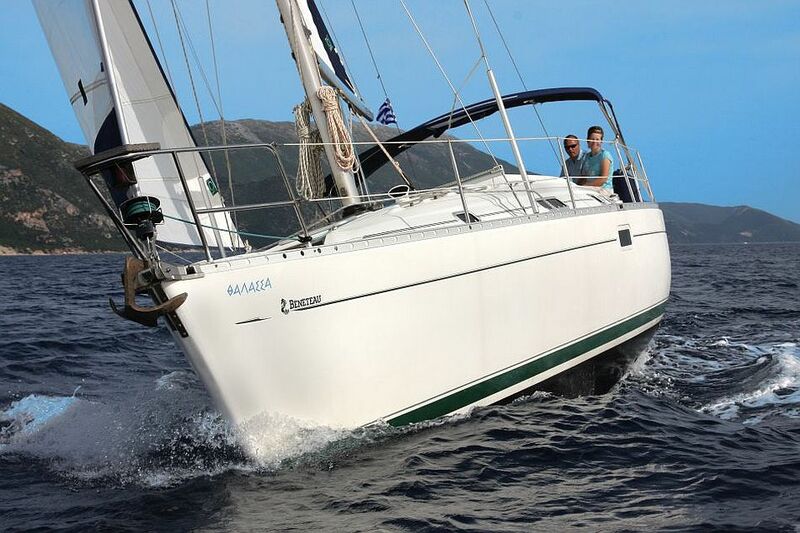 JEANNEAU SUN ODYSSEY 31 - "SIROKOS"
Sirokos has proved to be a great asset to us, is in much demand and also very popular with returning clients. She is responsive under both power and sail, has two double cabins and one heads/shower compartment and is comfortable to liveaboard for a sailing holiday.Lovely real wood varnished interior complemented by new headlinings and recent upgrades including electric anchor winch, replacement quality sails (from 2011 and 2012) and new teak in the cockpit and transom. 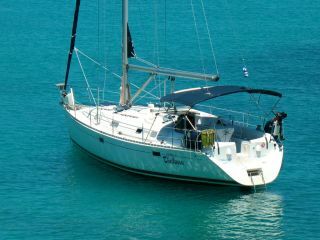 Our yachts are fully licensed and insured for charter to comply with the necessary offshore safety regulations and have an extensive inventory including fixed GPS, VHF/DSC radio, log and echo sounder, self tailing winches, bimini, cockpit table, toilet holding tank and of course, comprehensive safety equipment. They have large comfortable teak cockpits and transom platforms with boarding ladders for easy access to and from the water. 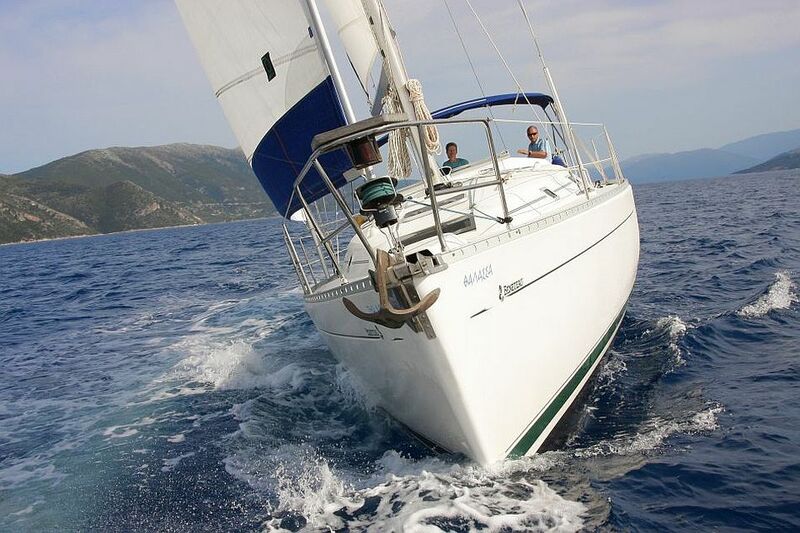 To see full details of each of our yachts, click on the image or title above. 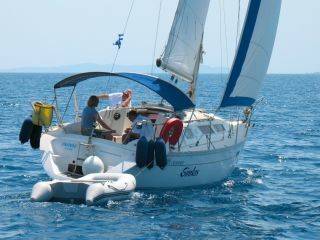 Our yachts are very popular and early booking is recommended. 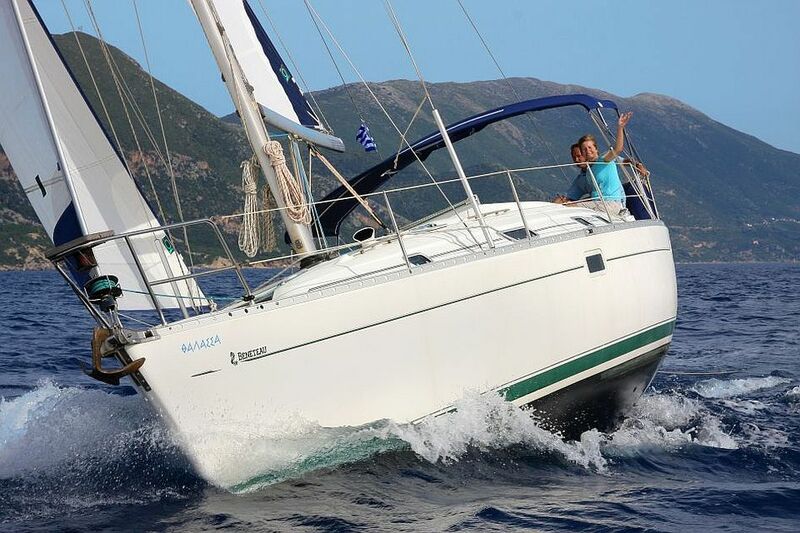 If the dates you require are already booked, we would be pleased to offer you a carefully selected range of yachts from 32 to 49 feet operated locally by trusted colleagues who we feel offer a level of friendly, efficient service along with a comprehensive maintenance programme. It is of the utmost importance to us that the yachts we recommend to you are in the best condition and maintained to the highest standards as if they were our own. Contact us with your requirements.